For 2019, Swim England’s Love Swimming campaign is focusing on the innumerable benefits that swimming can have on our health, from helping with weight loss, joint pain and, , the ravaging effects of arthritis and asthma, among other health problems. All three of Wanda, Steve and Paul had their own battles to fight, but they all learned to Love Swimming and the therapeutic effect it had on their own unique problems. Keep reading to find out more. For years, Wanda had been struggling with a myriad of issues. 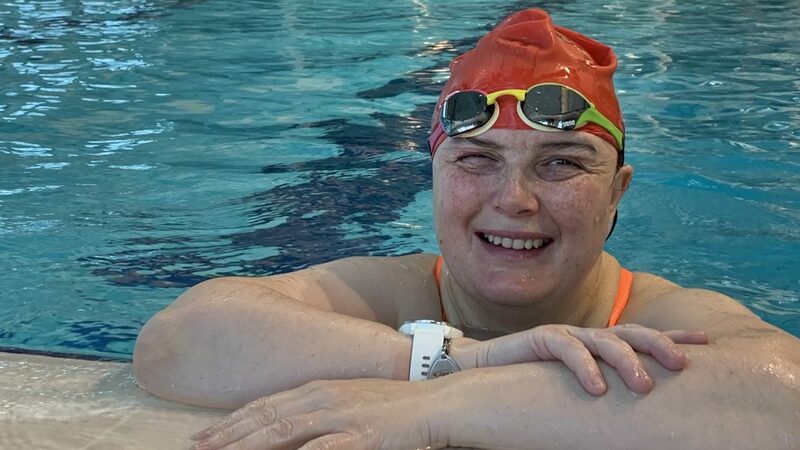 As well as asthma, back pain and chronic arthritis, she also suffered from other health problems that made it very difficult to get active and all of these issues were having a significant effect on both her physical and mental well-being, until she learned to Love Swimming. Wanda was feeling very much at a low ebb. Her health problems, asthma, back pain and arthritis were leaving her “feeling like an old woman” even before she had hit 40. As a result of these numerous issues, she decided to see a physiotherapist who, along with advising her that she may have to walk with a stick for the rest of her days, suggested that she tried swimming as a way to relieve pain and improve mobility. So, Wanda went swimming but struggled initially, telling us: “at that point, I couldn’t really swim. It was very much a head up, splashing down the pool, flailing up and down.” In order to rectify this, she decided to learn to swim properly to ensure that she got the most out of her swimming sessions. Diving into swimming has, in Wanda’s own words “been absolutely life-changing.” Learning to Love Swimming has made her whole life easier and the regular activity that swimming allows her has had a huge positive effect on her life as whole, not just her back pain and asthma, she feels like there is a lot more that she can do, a lot more she can achieve than before she began swimming regularly. From where she was four years ago, she says, she really feels like she’s taken her life back. The sense of freedom that she gets from being in the swimming pool, gliding through the water and just enjoying being herself was joyous and something she hadn’t experienced in a long time. Steve had been living in denial. Despite being significantly overweight, he was certain that none of the potential health issues that his weight could increase his risks of contracting would ever affect him, despite his self-confessed “appalling” physical condition. Unfortunately, he was wrong. First came the Type 2 Diabetes diagnosis, which had a real effect on his life, but still he decided against doing anything about his weight, sticking to the same lifestyle he always had, telling himself that he’d get to it someday, putting off the inevitable, as it were. It was only when things became really serious and he suffered from a stroke, however, that he decided he needed to make changes. As such, his doctors advised him to take up swimming as the water supports a significant proportion of the body’s weight, meaning less stress is put through joints compared to walking or running, but it still provides excellent aerobic exercise, which is vital for weight loss. Steve was nervous about taking up swimming to begin with. Worried that his fellow swimmers would notice his size, he entered the swimming pool for the first time with trepidation. He needn’t have been concerned, however, as his fears did not come to pass. Nobody stopped, nobody stared, everyone just carried on with their swim. 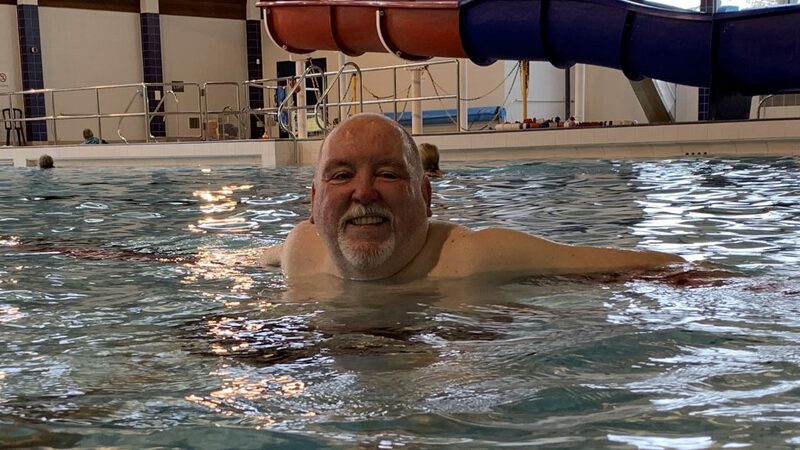 Swimming regularly helped Steve in so many ways, physically, mentally and socially and the benefits he felt are simply enormous. Although he admits that there’s still a long way to go in terms of his weight loss, swimming has helped him lose a significant amount of weight already. An additional benefit of exercising and the weight loss that has come with it is that it has also helped him take better control of his type 2 diabetes. Steve’s only regret is that he wishes he’d started doing this many years previously, as it could have saved his health. Paul’s problems all began through working long hours – sometimes 12 at a time – without a break, sitting at a desk, all the time doing more and more damage to his back. Medical professionals advised him to manage it with pain medication, but before long enough was enough. 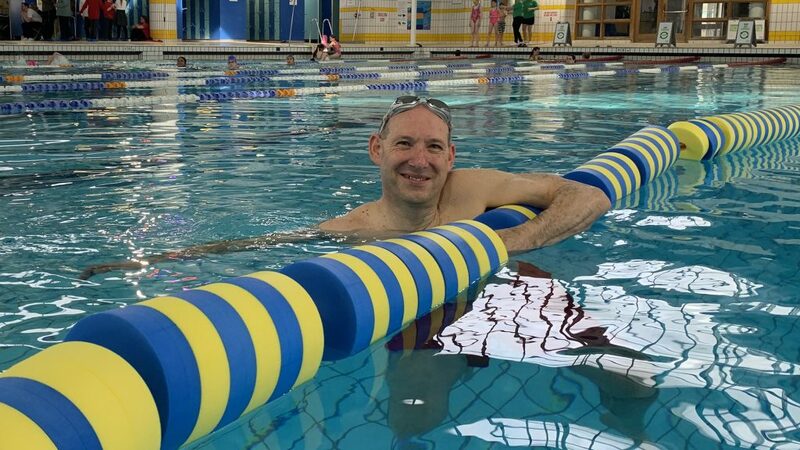 “I started off learning to do one length” says Paul “then two lengths and then three.” Eventually, he managed to make it all the way up to 20 lengths and now, finally, 40 lengths. According to Paul, the greater the distance he swims, the better he feels afterwards. After a swim session, he feels as if he has had some sort of massage and for hours after a swim, he felt he had now pain at all. Initially, he have a couple of hours pain-free after a long swim session, then it went up to three hours, four hours, a whole morning and then, eventually, an entire day. Paul Loves swimming because once he’s out of the swimming pool, he feels like he’s ready to take on the world. So, why don’t you learn to Love Swimming and see how it can benefit you?